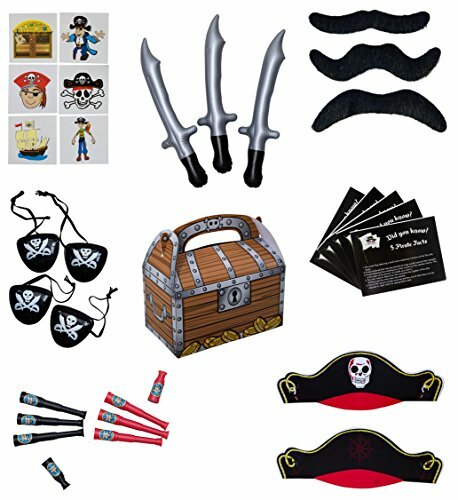 Pirate Themed Favor Kit and Party Supplies • Complete ready made pirate party supply and favor bundle • High quality toys and accessories • One stop shopping to put together a complete pirate favor pack for up to 12 of your pirate guests • We personally pack each kit to ensure your order is 100% accurate, guaranteed! • M & M Products Online’s mission is to provide a five star experience for our customers. We offer Worry Free Protection on all of our products. If you are not satisfied with your purchase for any reason, our customer service team is standing by to make it right. • Add to your cart today to complete your party needs!